The recent drugs-related shooting in Christiania - the self-proclaimed autonomous community in Copenhagen known for its ideals of social freedom - has led to residents tearing down the cannabis stalls in the area known as Pusher Street. and the realities of the black market. This was apparent on my first visit two years ago, when it felt both liberating and intimidating. Hallucinogenic colors adorned almost every wall and the smell of marijuana was in the air. The community seemed free and joyous, yet dark and melancholic. Christiania is difficult to describe and even more difficult to understand. The place is the result of social activism. Folks coming out of the hippie, squatter, and anarchist movements occupied the area that previously consisted of the military barracks of Bådsmandsstræde in 1971. Denmark’s Social Democratic government of the time allowed the occupation. They declared Christiania a ‘social experiment’. Despite recent tensions, the Freetown still exists as an ‘alternative economy’, so to speak. It possesses certain similarities with most Western economies. It’s democratically run, for example, and has a functioning welfare system and public services, like a rather wonderful garbage collection scheme and enviable childcare services. The money made from rent and tax on businesses is spent on social projects focussing on artistry and creativity. Christiania relies heavily on tourism. In my short time there, I bought green tea served in a glass that scolded my hands – they don’t do mugs – and several beers while watching a reggae band in the centre of town. I bought my dad a lighter covered with the Christiania flag – three large yellow dots against a red background. I also bought something that smelt rather lovely, but that my mum and indeed the Danish government might frown upon. One could call this consumerism, but I doubt the residents would describe it that way. in Christiania and no governing bodies or departments. When other options are exhausted, folks in the community deal with pertinent issues through a series of meetings. I imagine they’ve been having plenty recently. The Freetown has been called both a utopia and a dystopia. Some see its lack of growth as proof of its failure. Others who enjoy its liberalism and semi-self-sufficiency believe it’s a success. The truth, of course, is not so black and white and what people make of Christiania perhaps depends on pre-existing prejudices. What’s obvious, however, is that Christiania offers a wonderful opportunity to learn lessons from a rather unique economic experiment. What lessons exactly? Well, on a rather small scale, one can see that economic alternatives can work and be sustained. 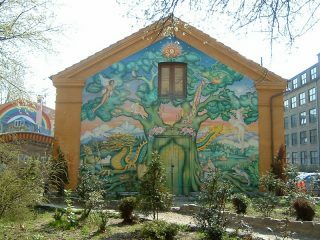 Christiania will soon enter its 50th year and there’s a rather long waiting list of folks wanting to join. From what I could tell, those dwelling here, and indeed those visiting, certainly seemed pretty happy. One may struggle to imagine how the Christiania model would apply to larger economies, but I don’t suppose that was the purpose of this place. It’s a hybrid economy – using aspects of different models – the success of which is arguably dependent on its small size. The important point, though, is that alternatives such as Christiania offer insights into the way other economies could be run - with more democracy, less centralized power and further economic freedom, for example. Perhaps alternative economies such as Christiana also suggest a more prominent role for common ownership – particularly of housing, which is under massive pressures in countries like the UK, where the costs are pricing many people out. On the other hand, perhaps those who see it as a failure might feel we adopt the opposite lessons – more centralized power, increased privatization, and so on. The what? This phrase is named after a man called Joseph Overton who first came up with it. It's used to describe the range of political ideas or policies that society thinks it is acceptable to discuss at a particular point in time. If it's not in the window, then politicians usually stay away from it because it would be too risky. At present, it seems most economic ideas are offered through a narrow prism of policies that the public will accept (sometimes called the Overton window). This small range of ‘acceptable’ ideas have the potential to stunt economic progress, especially for those with less wealth. 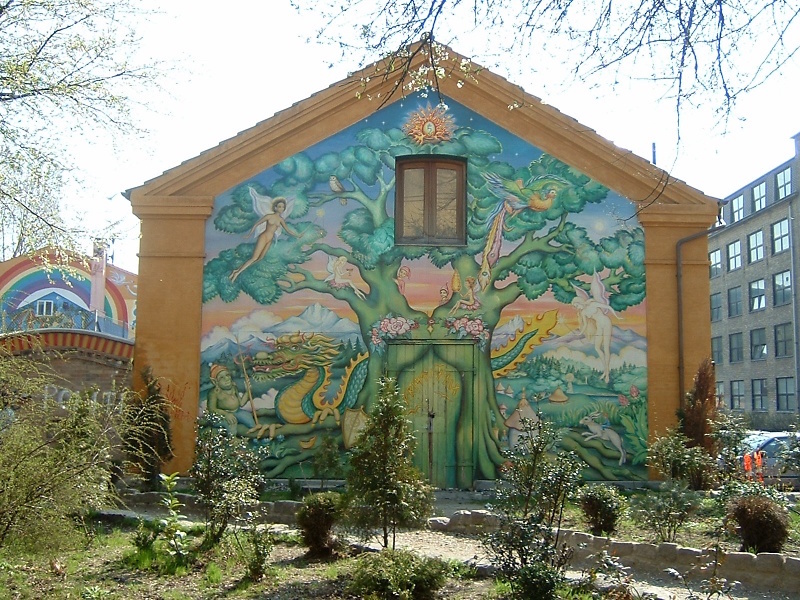 Christiania offers a radical alternative that, while not necessarily worth accepting entirely, is nonetheless worth investigating to determine its successes and failures and learn from them. And, if recent events have the effect that the folks of Pusher Street perhaps expect, we should investigate sooner rather than later.